MORAL M1000 represents the definitive solution for 1m class telescopes and professional observatories. The system is targeted to high demanding applications in astronomical and defense scenarios with the possibility thanks to the capability to operate at 60°/s slew rates with 1'' of mechanical pointing accuracy. 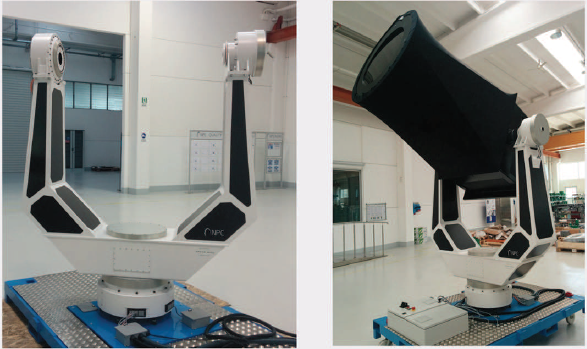 The system can operate up to 1000 Kg payload with a maximum aperture of 1.3 meter. M1000 represents the native project from which derived the minor versions of MORAL.